7 Incredible Barrier Group Products That Have the Ability to Disappear...and then Reappear! 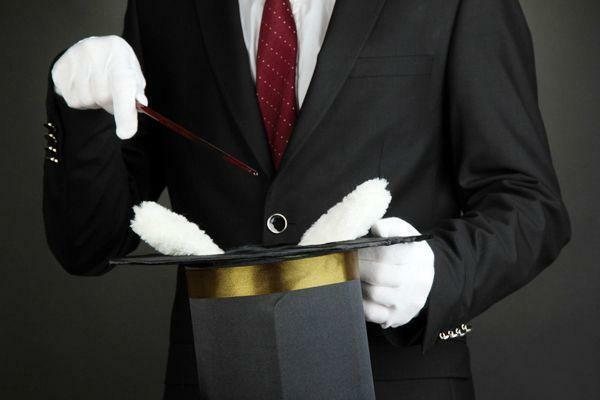 We have successfully mastered this magicians trick of empowering our products with disappearing capabilities. This powerful semi-permanent function gives you the flexibility of denying or permitting entry to areas with changeable access requirements. 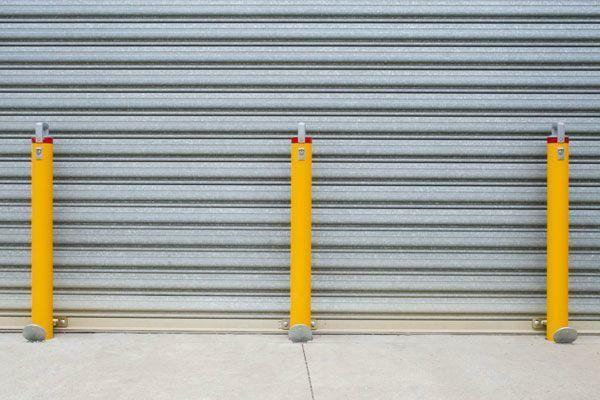 Designed with the ability to extend and retract into the ground, retractable bollards restrict entry when locked in the extended position. 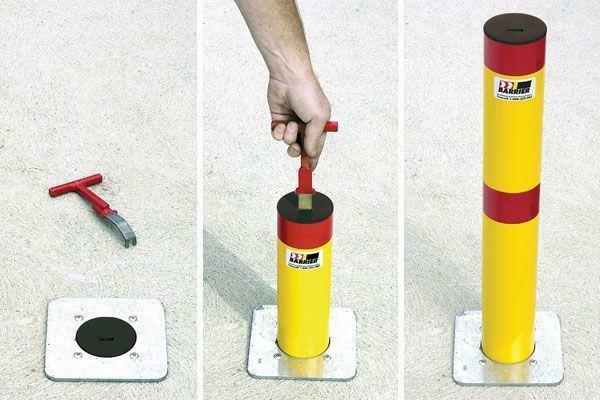 When bollards are retracted they allow temporary access to delivery, maintenance or emergency vehicles. Suitable for medium duty applications. Why? Restrict or allow temporary access. How? Bollard telescopes in and out of ground. Where? Streetscapes, footpaths, driveways entrances. When? Vehicles requiring authorised access. Our removable bollards are available in two models that vary in applications and security levels. The 'disappearing' function occurs when the bollard is either be removed a sleeve or surface mount shoe then hung or stored on holders nearby for quick and easy deployment. Suitable for heavy duty applications. Why? Protect businesses from ram raids. How? Bollard removed from the steel in-ground sleeve or surface mount shoe. Where? Shop fronts and roller doors. Although not entirely removed from their settings, fold down bollards still have the overall ability to 'disappear'. When in the upward position, the bollard is used as a barrier to restrict vehicle access. When folded down flat, vehicles are allowed to gain temporary authorised access. How? Bollard hinged to fold down flat. 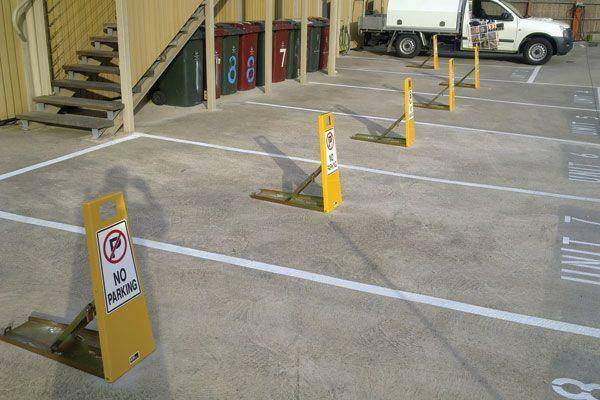 Designed with company and private car parks in mind, these semi-permanent parking signs provide a visible, physical barrier that protects your parking spot when locked in the upwards position. The Lok-Up Parking Space Protector can then be unlocked and folded down flat while the car is parked in its reserved spot. Why? 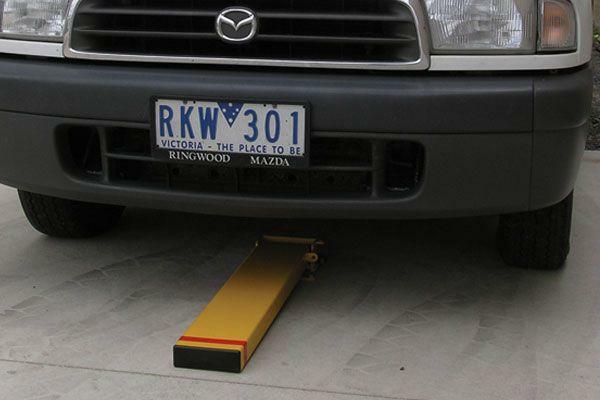 Protect parking spots or restrict vehicles entering unauthorised areas. How? Hinged to fold down flat. Where? Car parks and driveways. When? During or after business hours. 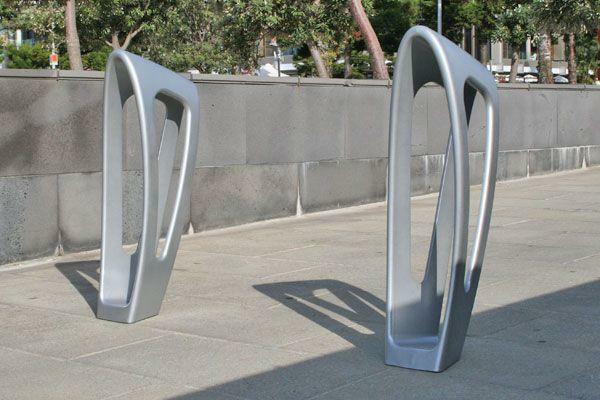 Zephyr is a multi-function bollard or bike storage stand suitable for urban landscapes and city streetscapes. The removable model zephyr has the ability to 'disappear' by simply being removed from the in-ground sleeve to allow temporary vehicle access. What? Zephyr Bike Storage Bollard. How? Bollard removed from the steel in-ground sleeve. 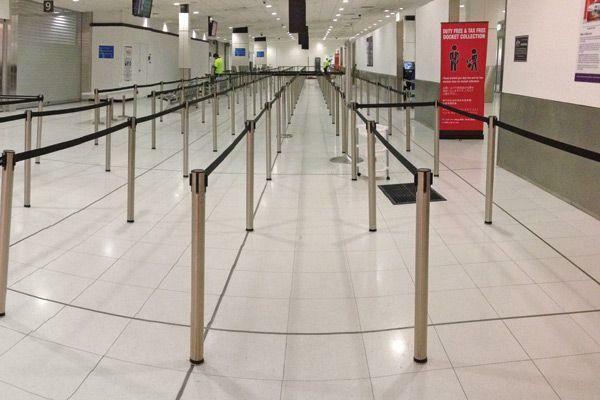 Semi-permanent queue control post that is fixed into the concrete and carpeted floors. The disappearing function allows the posts to be unscrewed from the in-ground socket when more floor space is required or queue control is no longer necessary. What? Neata Airport In-Floor Post. Why? Pedestrian and passenger terminal queue control. How? Post unscrewed from in-ground floor socket. Where? Airports, cinemas, nightclubs and restaurants. When? Anywhere that requires a queue management system. Semi-permanent gallery post barriers that are made with an in-floor socket as opposed to other post and base models. The ability to 'disappear' happens by unscrewing the post from the in-ground socket and capping the floor to provide a flush finish when exhibitions finish and room structure changes. What? Neata Gallery In-Floor Post. Why? 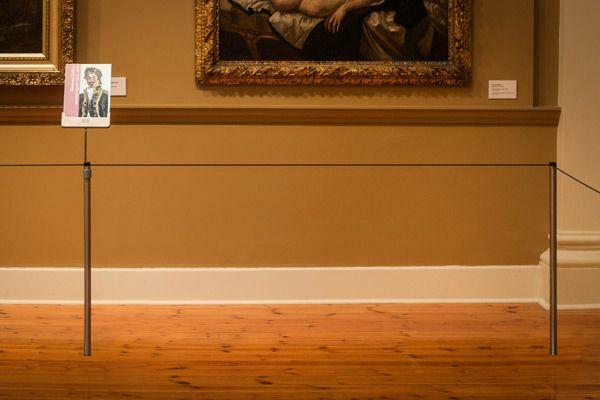 Discreet physical barrier between people and artwork. Where? Galleries, museums and exhibition spaces. When? Temporary or permanent exhibits and displays.